Joining the stay-at-home moms in yoga pants and the retired couples who eat organically, I enjoy my trips to Whole Foods. Fact: I spend more at the store than I would at at a typical grocery store. Fiction: the food I purchase is healthier than the food at a typical grocery store. Fact: there are always good free samples. 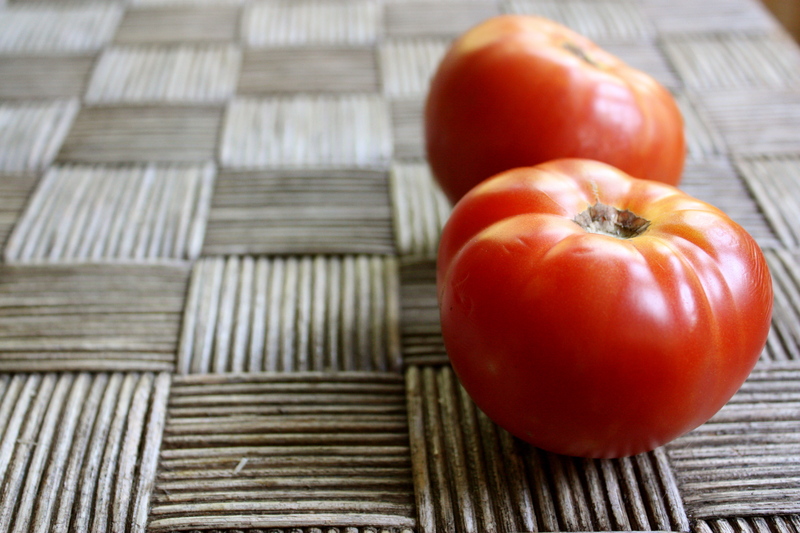 On a recent trip to Whole Foods, I spotted some heirloom tomatoes that looked juicy and fresh. They probably weren’t as fresh as I assumed, seeing as they were grown in Mexico. However, sometimes when I see something that I want to eat, my conscience about eating locally gets thrown out the window. Oops. 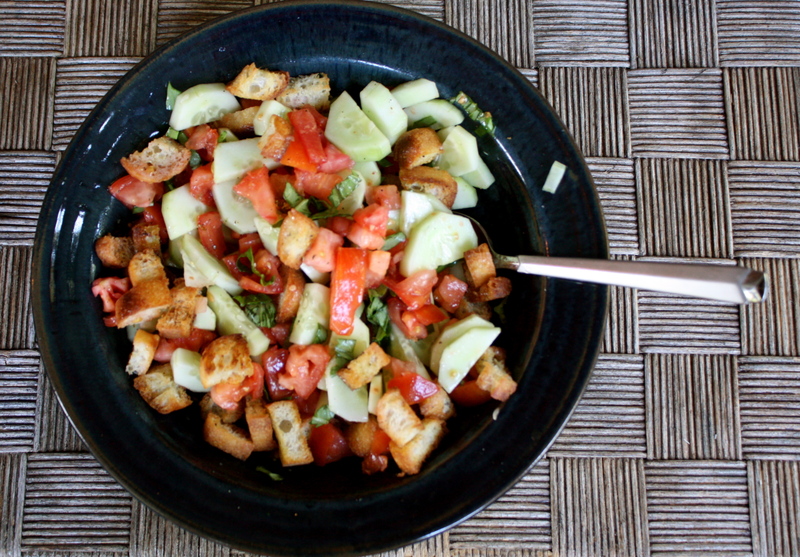 I threw together a panzanella salad for dinner using these yummy fruits. My Dad and I wanted something light, and this hit the spot. Preheat oven to 375 degrees. Slice the stale bread into cubes. Place cubes in a Ziploc bag and drizzle olive oil into bag. Shake the bag so that the olive oil spreads onto the bread. On a baking sheet, lay the oiled bread and sprinkle with sea salt. Bake the bread for approximately 10 minutes, or until lightly toasted. In a small dish, whisk the vinegar, oil and minced garlic together. 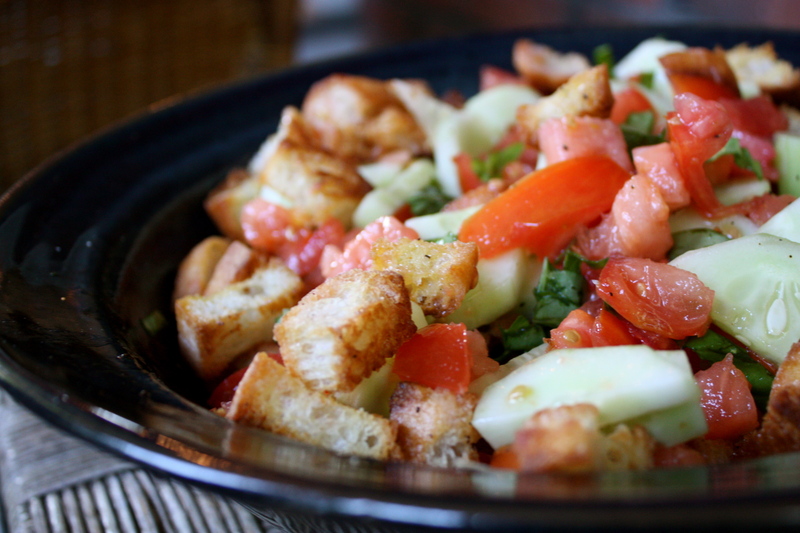 In a large bowl, mix chopped tomatoes and cucumber together. Add toasted bread. Pour the oil and vinegar dressing onto the salad. Garnish with chopped basil leaves, and sprinkle salt and pepper to taste. Serve at room temperature.